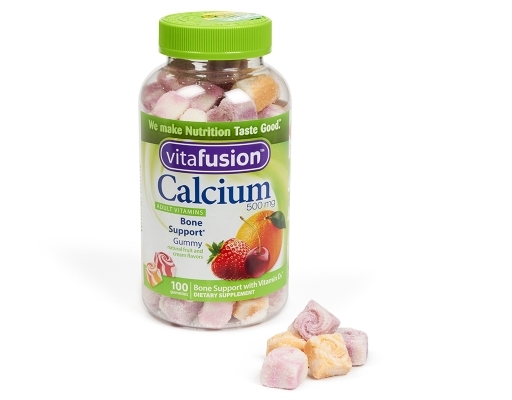 Indulge in a delicious calcium treat. 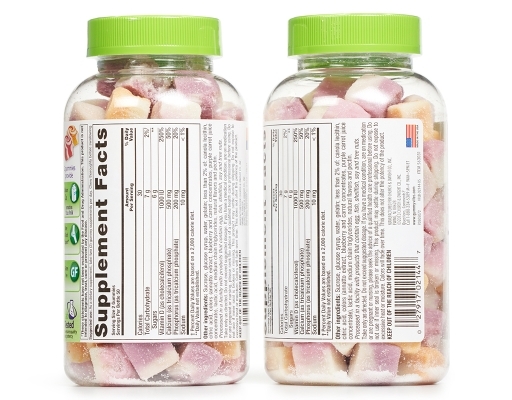 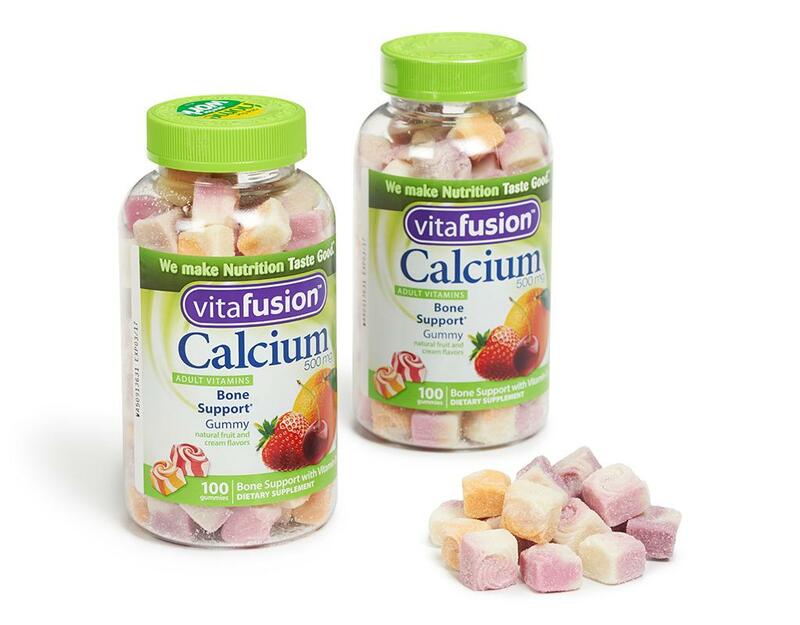 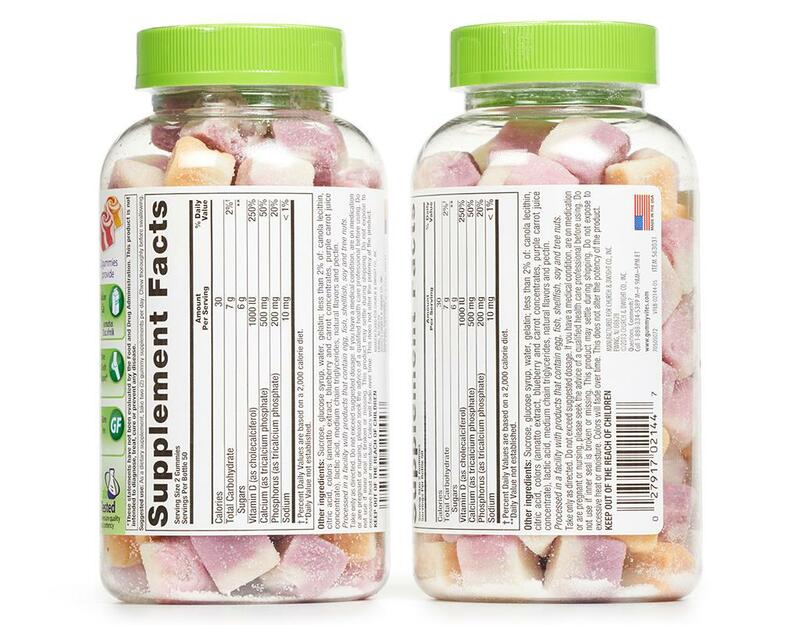 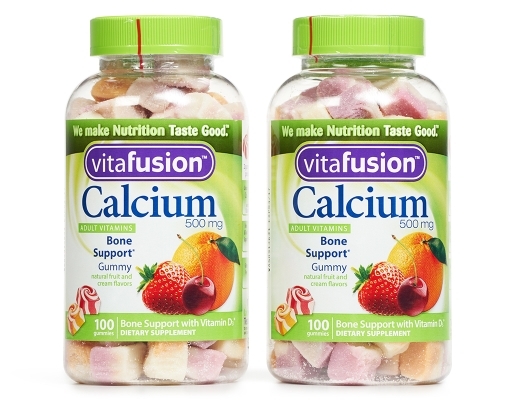 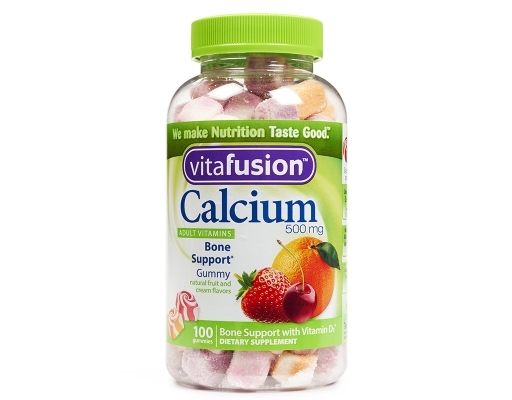 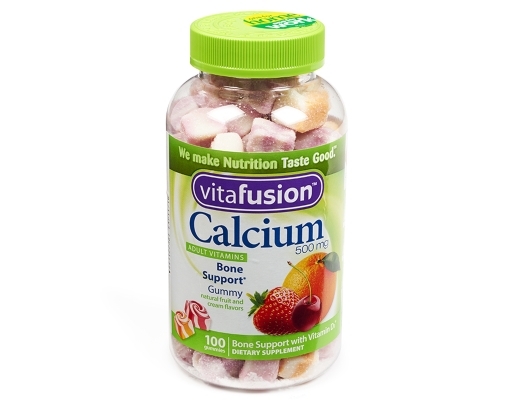 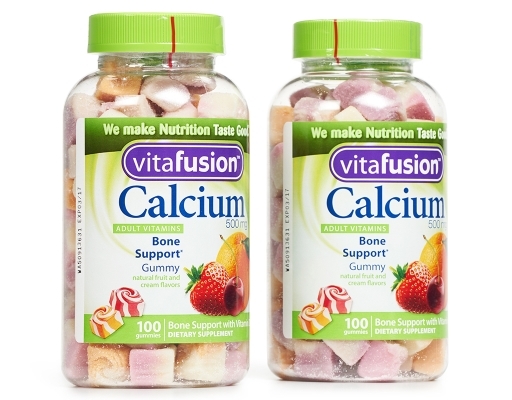 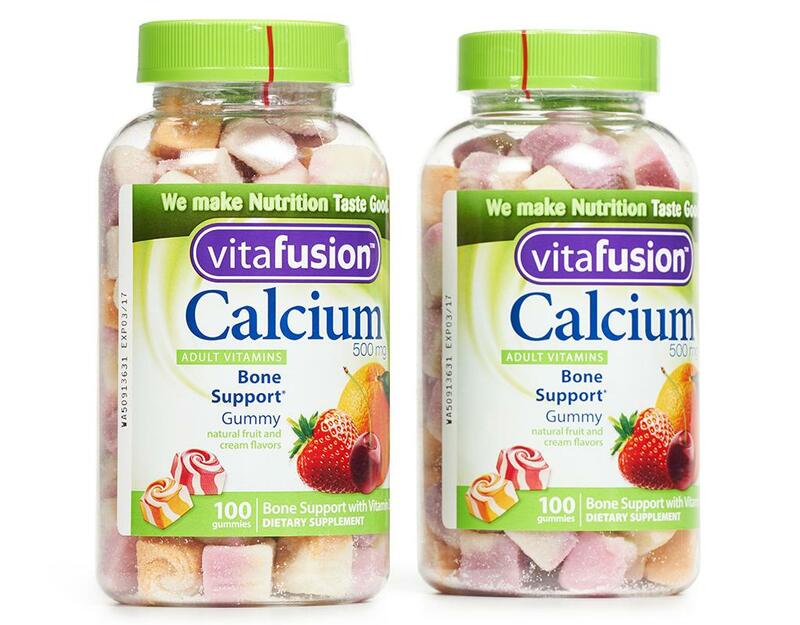 Vitafusion Calcium gummies are swirled with creamy berry and citrus flavors and are an excellent source of calcium and vitamin D. Each serving supports bone health with 500 mg of calcium and natural fruit and cream flavors. 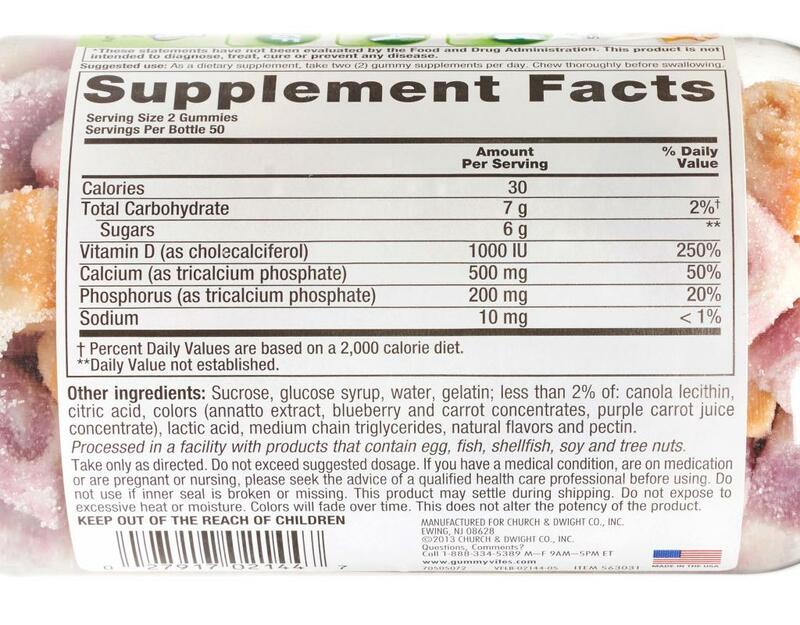 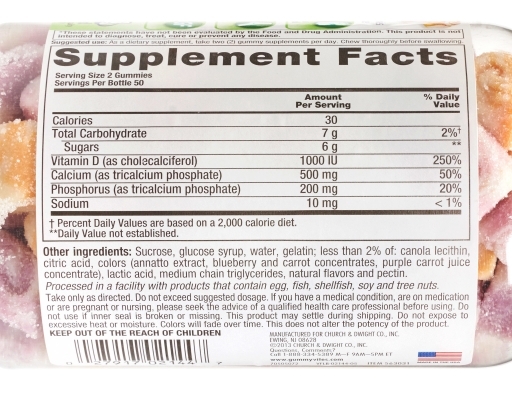 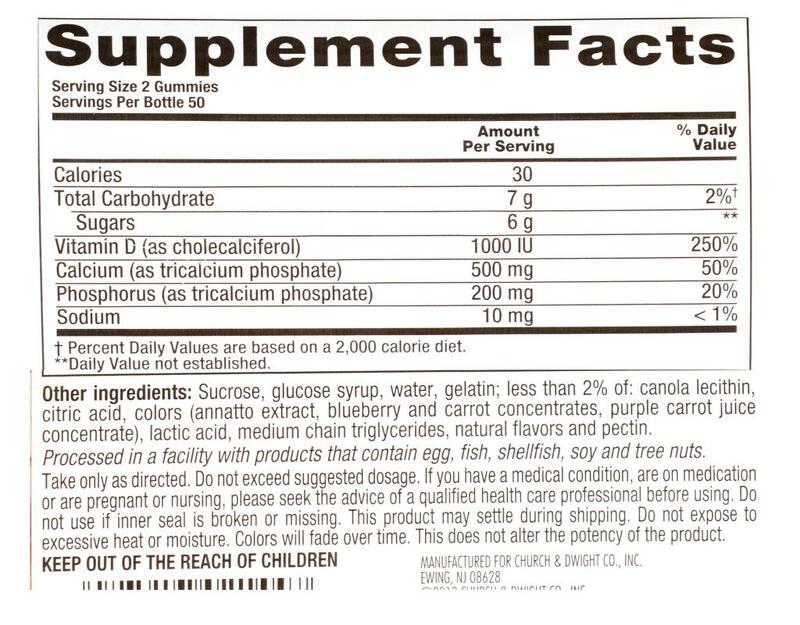 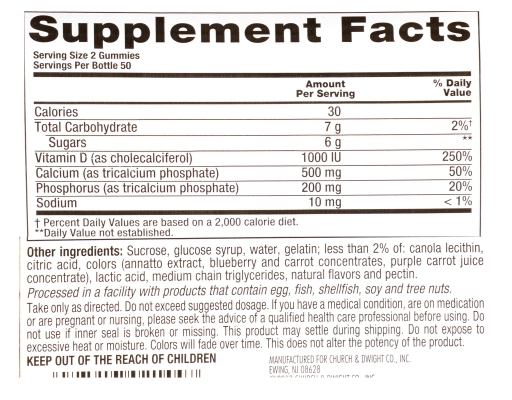 • Each serving of Vitafusion Calcium gummy vitamins has as much calcium as two 6 oz. 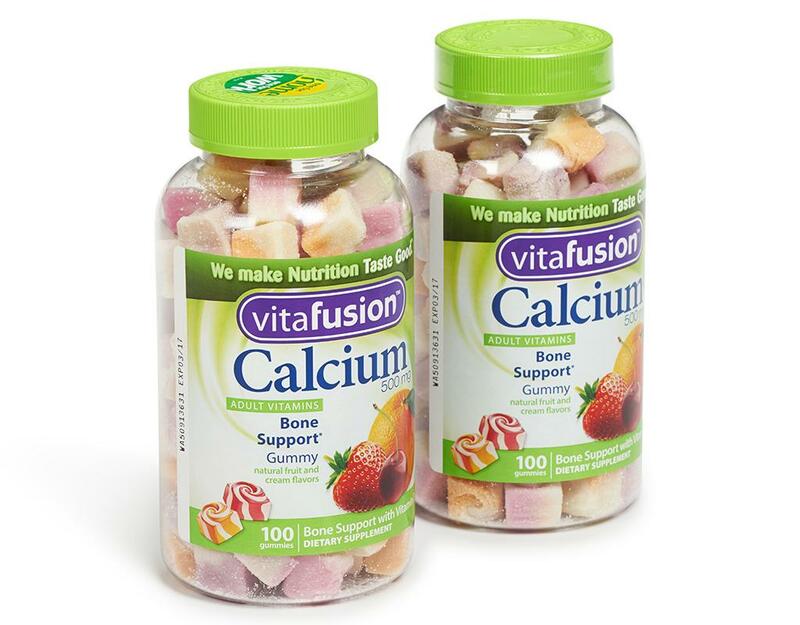 glasses of milk.